Calculating the weight of tool steel is important to engineers, purchasers and toolmakers. The toolmaker usually specifies that size of the piece that is needed to build the required tool. The tool steel buyer would then specify the required size to the tool steel service center, where they will purchase the material. 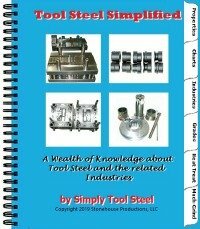 Tool steel is generally priced as a per pound price, so the buyer would need to know how many pounds that they need to purchase. The service center will convert the size of the needed piece into the required pounds, in order to supply the buyer with a price for the piece. Converting the size of the piece to pounds in an easy conversion.